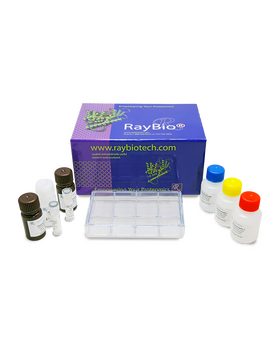 RayBio® C-Series Human Cytokine Antibody Array 7 Kit. 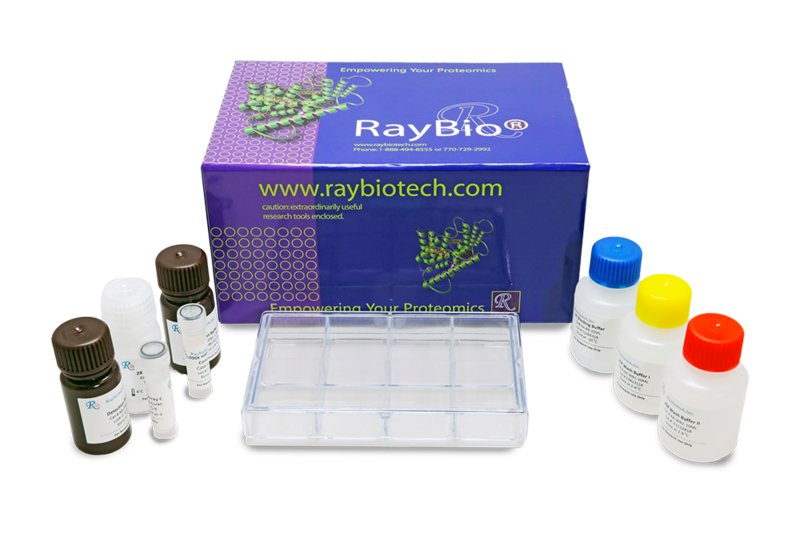 Detects 60 Human Cytokines. 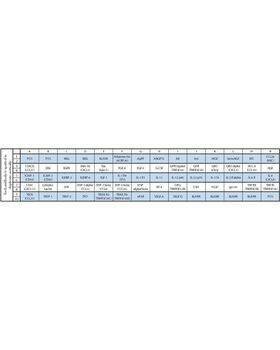 Suitable for all liquid sample types. Shang T., Yao B., Gao D., et al. A novel model of humanised keloid scarring in mice. Int Wound J. 2018 Feb;15(1):90-94. doi: 10.1111/iwj.12838. Jin H., Lee H., Heo J., et al. Senescence-Associated MCP-1 Secretion Is Dependent on a Decline in BMI1 in Human Mesenchymal Stromal Cells. Antioxid Redox Signal. 2016 Mar 20;24(9):471-85. doi: 10.1089/ars.2015.6359. Lee J., Schierer S., Blume K., et al. HIV-Nef and ADAM17-Containing Plasma Extracellular Vesicles Induce and Correlate with Immune Pathogenesis in Chronic HIV Infection. EBioMedicine. 2016 Apr; 6: 103-113. Lejmi E., Perriraz N., Clement S., et al. Inflammatory Chemokines MIP-1d and MIP-3a Are Involved in the Migration of Multipotent Mesenchymal Stromal Cells Induced by Hepatoma Cells. Moore MC., Pandolfi V., McFetridge P. Novel human-derived extracellular matrix induces in vitro and in vivo vascularization and inhibits fibrosis. Biomaterials. 2015 May;49:37-46. doi: 10.1016/j.biomaterials.2015.01.022. Zhang L., Lio D., Wang Y., et al. The role of Toll-like receptor 3 and 4 in regulating the function of mesenchymal stem cells isolated from umbilical cord. Int J Mol Med. 2015 Apr;35(4):1003-10. doi: 10.3892/ijmm.2015.2106. The product is very good, easy to use. The signal is very sensitive.